If you're after premium light weight materials, we've got you covered. Titanium is a favourite for many people due to it's strength, lightness and corrosion resistance. It can also be worked to a variety of surface finishes to achieve a certain look. As an added bonus, it is hypo-allergenic, perfect for those with sensitive skin and nickel allergies. 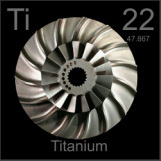 Brands which use Titanium include Lindberg, Porsche Design, Masunaga, Rodenstock, Mako and Stepper. Titanium can also be alloyed with other metals to make it very flexible - our Flexon and Reflex range of frames take advantage of this to provide a more wear resistant and lightweight frame to those who need it. 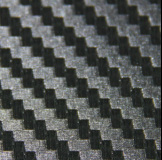 Carbon fibre can also be incorporated into frames to provide strength, lightness and rigidity. It is used for this very reason in Formula 1 cars and the high performance sports car industry both in drive shafts and as material for strong lightweight panels. The new Airbus A380 also makes use of the lightweight properties of carbon fibre to increase fuel efficiency, while maintaining strength. Brands which use this exotic material include Columbia, MADinItaly and Porsche Design. Although not as light as some other materials, stainless steel provides a good rigid material for high quality frames. 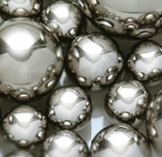 Stainless steel is strong and corrosion resistant. Cellulose acetate is a form of high quality nylon-based plastic (non-petroleum based) derived from natural cotton and wood fibres. It is made from cutting, forming and polishing sheets of plastic. Complex designs and colours can be achieved by sandwiching several colours or transparent layers together. It is hand worked and polished to provide lightweight yet appealing frames. Many European labels utilise production in Italy and France, where the best acetate is made. Cellulose acetate is the highest quality plastic material for frames. 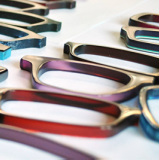 What is the difference between cellulose acetate frames and injection moulded plastic frames? As the name implies, injection moulded frames are made by injecting a more brittle petroleum based plastic that is liquefied, then injected into an aluminium or stainless steel mould. Colours are added through a spray application then coated and tumbled for shine. Injection mould frames are generally less expensive but considered to be lower quality.